Than you for your honest observation and helping demystify the Finnish Education System. I have been following your post and find them very informative. I am interested in your observations on Finnish students, teachers, and parents acceptance of diversity. I’ll be more specific. What have been your observations on inclusion and welcoming of students of color. By color I mean non-caucasian. Have you had first hand experience of interacting with students who are not native Finnish fitting into Finnish schools? In the EU 28, only 8 countries have a colonial past: Portugal, Spain, France, Italy, Vatican, Germany, Belgium, the Netherlands. The former Eastern block countries, they hardly had any chance to meet Africans and visa versa. The Scandinavians idem ditto. When I see black, I rather connotate it with laughing, singing, dancing, sports, holidays, happy times. I know about colonialism and slavery. But the whole thing about anger, discrimination and that blacks put all of the 20 white EU countries in the bag of the 8 colonial powers, I wasn’t aware. I’ve learned about black facism: anti-colonialism, urge for self-determination, frustration of African corruption, leap over in black colored people opposed to white and chinese and actually just everybody else, and when these all the non blacks have been casted out, it continues with casting out all the blacks who don’t support them. Sad. But give yourselves a break and go work with people from the EU-20 who didn’t have a colonial past. It will be a relief ! Congratulations for your post. I’ve translated the “Less is More” post and published in my own blog, in Portuguese, as you have authorized. In fact, I have noticed that there is no special reason for the performance in PISA, unless the simplicity and the seriousness with which the Finland deals with the term “Education for All”. I would summarize the success into four basic principles followed uprightly: everyone have access to a school, opportunities to learn, must learn the value of work and be independent. You are correct those four basic principles are the key! Also, can you send me the link to your post in Portuguese? Thank you! I’ve read you are in Rio for the Olympics! Great! Enjoy the trip and, if I can help you in something, keep in contact (by FB). how is it that such a country went bankrupt not many years ago if everything else is so rosy? I think that was Iceland. Even so, I don’t see the correlation between the education system and the economic health of the country’s financial system, especially when that system is tied to external markets. The take away here is that the median scores for all Fin students are higher compared to other countries, however, the percentage of over and under achievers are also lower. So gifted students will not be as a challenged and that may limit their potential. Thank you for your prompt response. I apologize as it was Iceland and I made a mistake. Thank you. if they are motivated students encouraged to proceed at their own pace and challenge themselves the model does not exclude the possibility of the gifted being challenged by a teacher who has the energy out of class to prepare for this and the time in class to spend with an individual. As per another post about continuity with the same teacher if I know Bobbi is a gifted student I can still provide or direct towards more advanced/challenging material because I know what Bobbi’s needs are. Regarding the first issue u addressed, that the Finnish classroom is not exceptionally different in terms of curriculum or difficulty, I think it’s the fact that “never-ending supply of recesses, free lunch, snack times and breaks. Students have less homework, fewer classes and less stress”, which has the highest incidence on the student’s positive association of academics to their personal life, their society and success. Also teacher’s are exceptionally well-trained, and are in constant review of their own pedagogical practice. In most countries teaching has become a clock-in and clock-out job, especially in the public sector (at least in my country, Chile #1 neoliberal) . Fortunately that’s not the case in the school our 9 yr old is going to. The teachers are all helping out each other. Also because there are moments in their career when they become like a support teacher and butterfly between the classes and help out e.g. take apart a group of 6 out of the class of 18, so the energy level in the class changes, an impact that lasts through the remainder of the day. Sometimes, kids from a higher year become the teachers for kids from the year younger. Or you have some young kids that are very passionate or fast and speed up to the year above. It is also about 1. smartly organized societies/villages and towns where there is a lot of space where kids and parents can play outdoors and indoors 2. money: that everybody can pay for following music and sport classes etc. I do remember that remoteness is an issue for some parents who have a kid that’s doing nothing but playing online games. Singapore, 2nd in PISA math rankings, teaches algebra in 5th grade too. So does South Korea, which is 5th. There is nothing insane about teaching algebra at 5th grade, and it does not bring down your average, if it is done well. Another reason that Finnish students do better on the math tests may have to do with how well they learn rather than how high they are taught. One day in my Honors Junior English class when I handed back an exam worth 50 points, half the class whipped out their calculators to figure out their percentage. Seriously. It happened often. I could calculate percentages in my head while my students currently taking Trigonometry were still opening their devices. They can pass the class but they have no bone deep understanding of arithmetic, much less advanced mathematics. It is pathetic. I really like that you’re not trying to disprove their system or put them down. This was a truly objective piece, and a rare gem of an article. What I gained from this are ways to improve our own system and an understanding of why their system works. 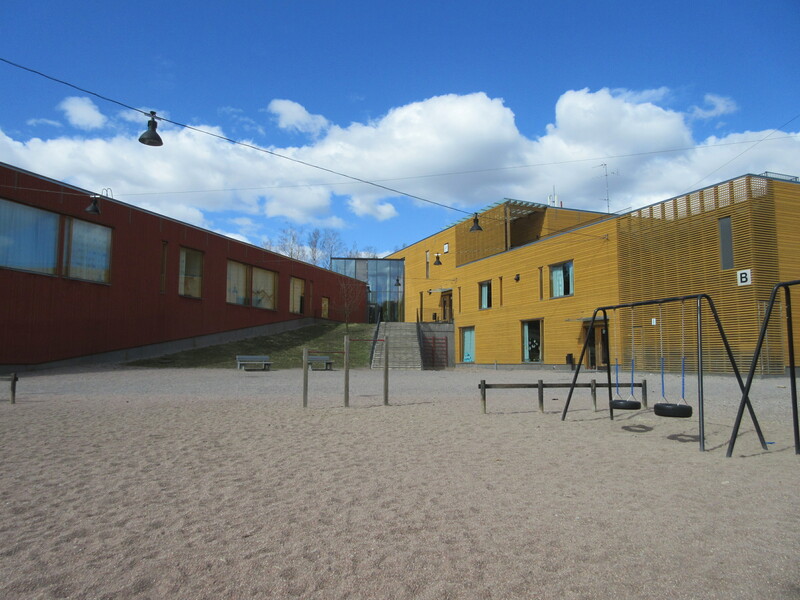 I can also see where they could improve their own schools, and perhaps where we could make our own educational discoveries that would compare with the intuitive nature of the Finnish school system. This is the first intelligent piece I’ve gotten on the question about why other countries, particularly Finland, are doing so much better on the PISA. I just read through the study done by Martin Carnoy and Richard Rothstein of Stanford. This one was more compelling. Thank you! I very much enjoyed this entry and I think I can partly explain the Finnish emphasis on averageness — it’s called “The Law of Jante”, which you can read about on the internet. Janteism is good in the sense that it keeps people from becoming alienated as they drift off to extremes of the bell curve, but it’s quite badly oppressive in the sense that it becomes downright stultifying when you just want to spread your wings and fly for once, but the Jante rules forbid it. PS: You forgot the word “to” in line one of the fourth paragraph of the section on physics. Near the end it should say “to take physics”. Do you see it? I would like to have messaged you in private about it but you don’t list an email address or anything. At any rate, no biggie — it’s an excellent analysis regardless. Pingback: The three REAL reasons for Finland’s high PISA scores. Finns have high avarage IQ, even without teachers finnish students would outperform most countries in the world. Just a fact. There are separate teachers and even separate schools for low achievers here in Finland, which may explain some of the high average level phenomenom. About the competition and challenge you find lacking in the Finnish system: I think a better way to think of it is not in terms of competition, but perhaps in terms of the challenge as you mention. Competition is not something to encourage institutionally. It means there are losers, and those losers are going to be looked down upon both by others and themselves, setting them up for further failure.